What is Opera Holland Park? 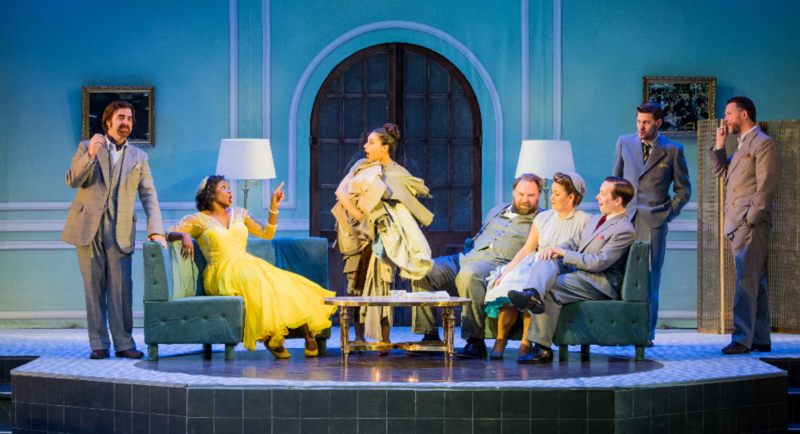 Based in Kensington, Opera Holland Park presents a yearly programme of fully staged productions and combines the best of English country house with urban opera. Prices are accessible and a full educational programme and family events aim to bring critically acclaimed work to the broadest possible audience. Once again The Admirable Crichton and OHP are continuing their successful partnership by offering the highest levels of catering. What’s on at Opera Holland Park this Season? The Admirable Crichton and Opera Holland Park have again partnered to offer hungry (and thirsty) opera goers the chance to savour the highest quality food and drinks at each performance. Watching opera in the open air has many benefits; beautiful sound quality, an enchanting atmosphere and of course the ability to picnic in the park. Notably, Admirable Crichton chefs have perfected, cooked, and carefully packed fresh salads, hand-baked loaves, charcuterie items, pastries and much more. To ensure every item stays in perfect condition and is easy to carry (and due to the possibility of hot weather this summer), we have created custom-made re-usable picnic hampers. All catering options must be pre-ordered. Dinners, canapés and substantial snacks are also available. A full selection of wines, Champagnes, cocktails and mocktails are available to be served in the OHP bar or consumed at pre-booked tables as part of a picnic. What about the great British weather? It’s not a problem at Opera Holland Park. The venue provides a canopied auditorium to ensure that everyone stays dry to help with any unreliable weather. With this in mind you can rest assured that when planning your opera treat there this year, the soggy sandwich syndrome will not prevail. The best way to avoid this is to pre-order a picnic. Food envy and being outside are both well known triggers for rumbling tummies, dry palates and dissatisfaction with your home packed sandwiches. Need I say more? First of all, book your opera tickets Don’t leave it too late as the most popular operas do sellout. Or a selection of sandwiches or meze. An AC butler could add a little extra luxury to the day. Finally, for a summer of music and song 'Book Opera Tickets and Order Food' directly from this link and have a fantastic opera-filled summer. If you would like to speak to a member of our team directly about the opera or about any other party plans or catering, please feel free to contact us.